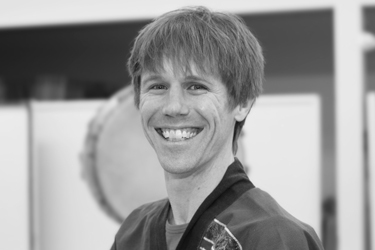 I joined Portland Taiko as a trainee in 2015 after playing with Emeryville Taiko for many years. I appreciate the community spirit of the group and how it succeeds in bringing together a diverse group of people into a powerful, talented whole. I have always loved taiko’s blend of community, physicality, and sound. My favorite taiko moment was the first time I hit a drum and felt it through my whole being. I teach English Language Development to middle school students. My wife and I recently became full members of Portland Taiko.